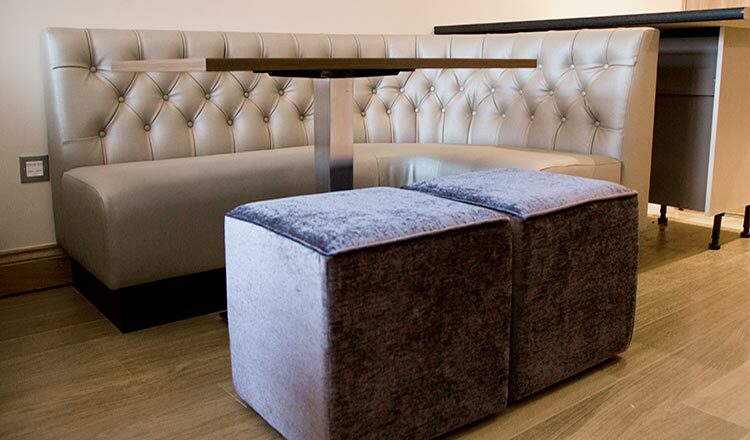 The photo on this page is from the Cabaret Room in Glasgow and just one example of the range of bespoke bar seating by SIG Contracts. 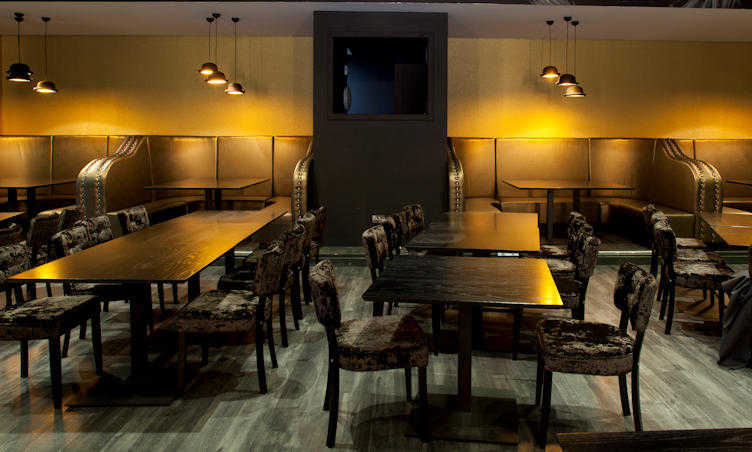 SIG Contracts worked in one of the up and coming cabaret bars in Glasgow’s Merchant City. 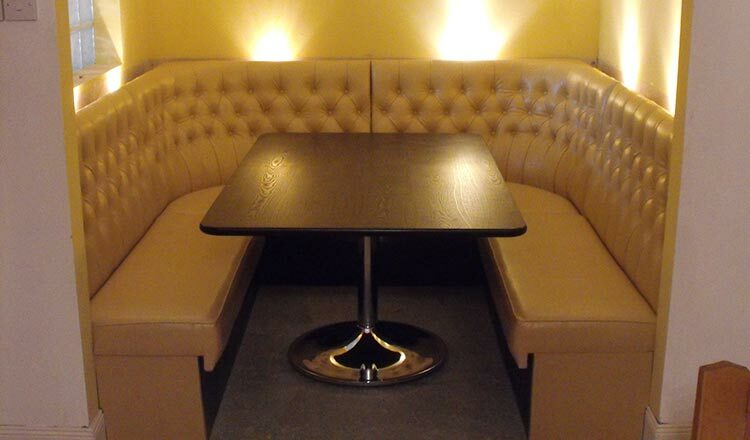 We produced unique bespoke banquette seating for both the Cabaret room and the Wicked Lounge. 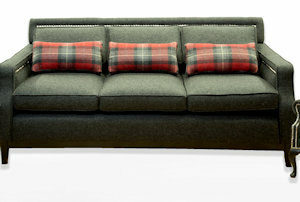 This is modular seating design that can be used to make a unique sofa design. 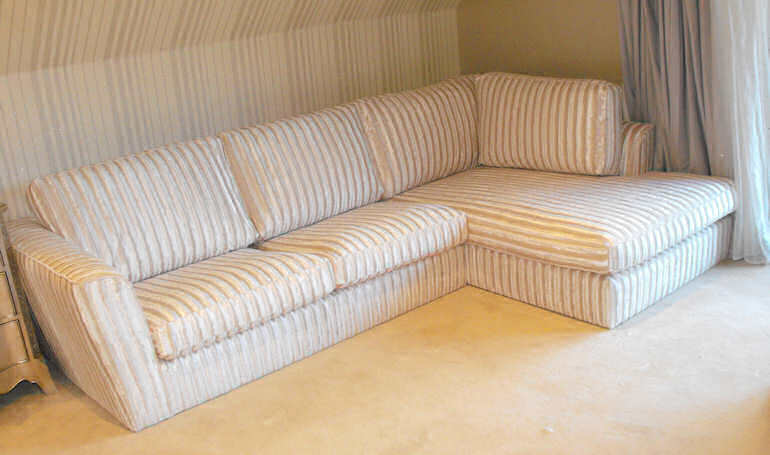 Suite Illusions can build banquette seating in your home to fit into any space. 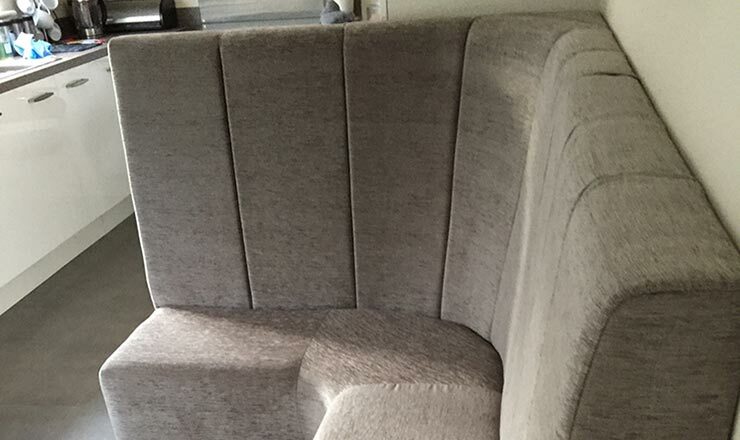 In these photographs you can see how we install the seating into your home. 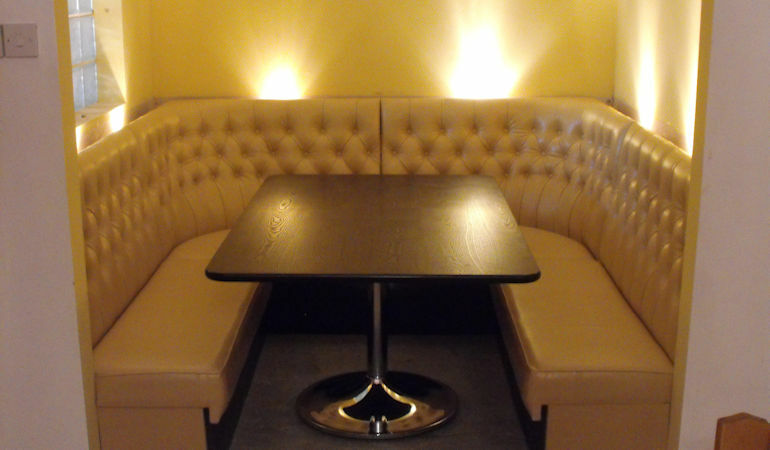 The first photograph is of the hard wood frame we use to secure your seating. 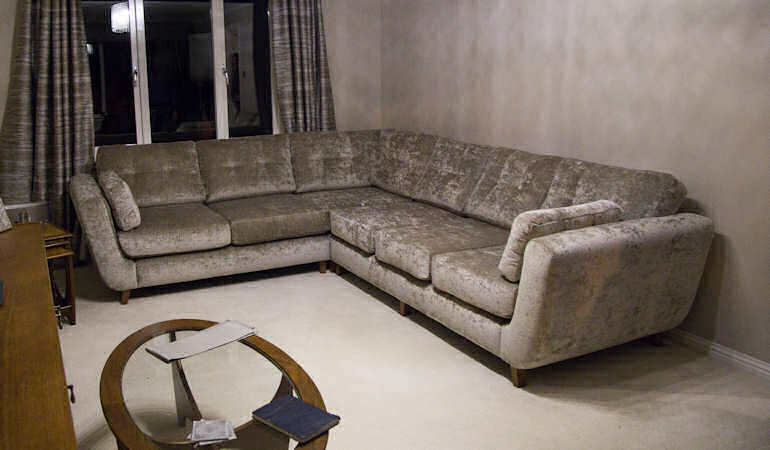 The second photograph we have included is of the seating fully built. 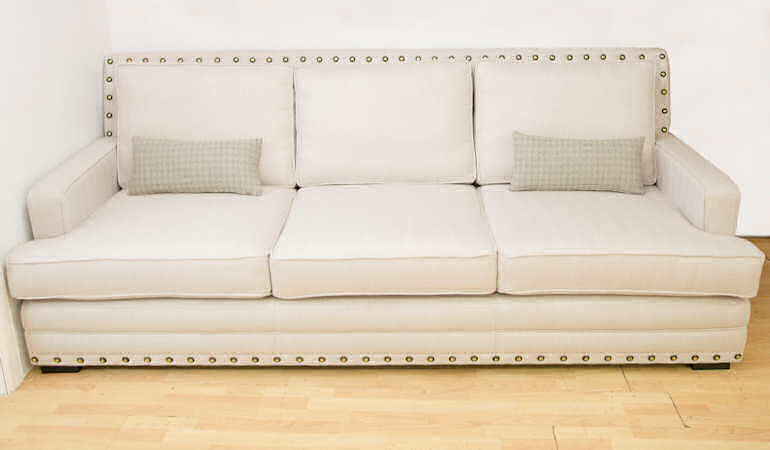 The deep buttoned style modernises the seating to stand out in your home. 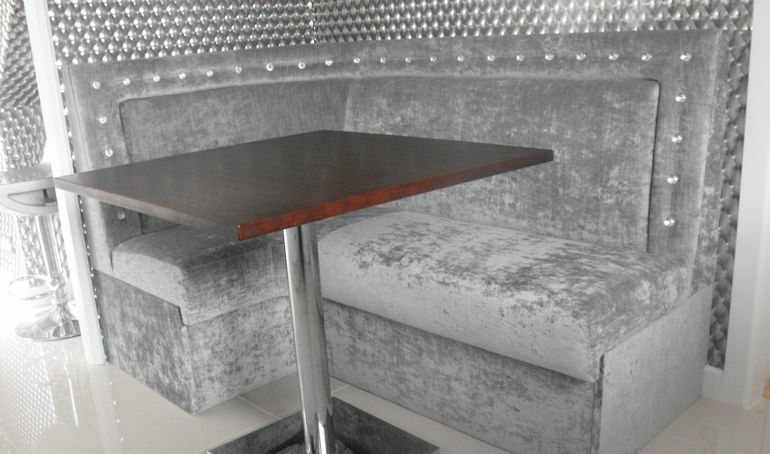 The third photograph included the table that is suited for this seating shape. 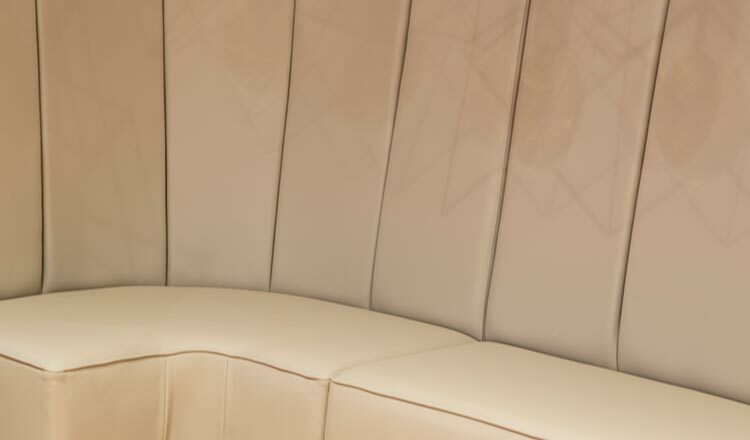 Suite Illusions can also supply tables to complement your seating. 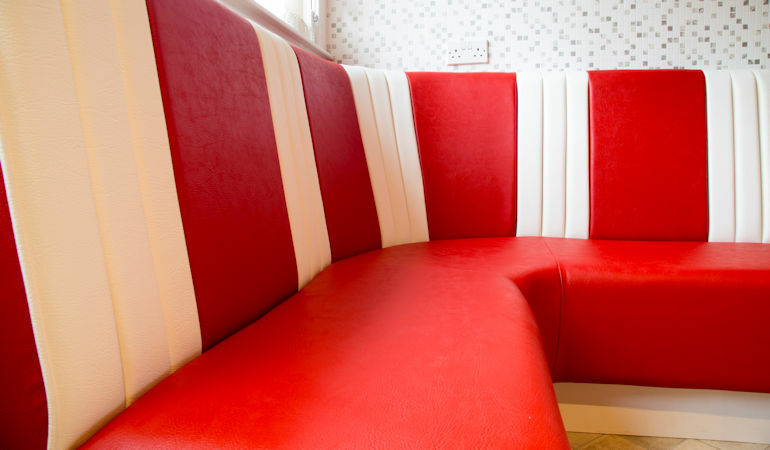 Suite Illusions can make each banquette seating to size and specification. 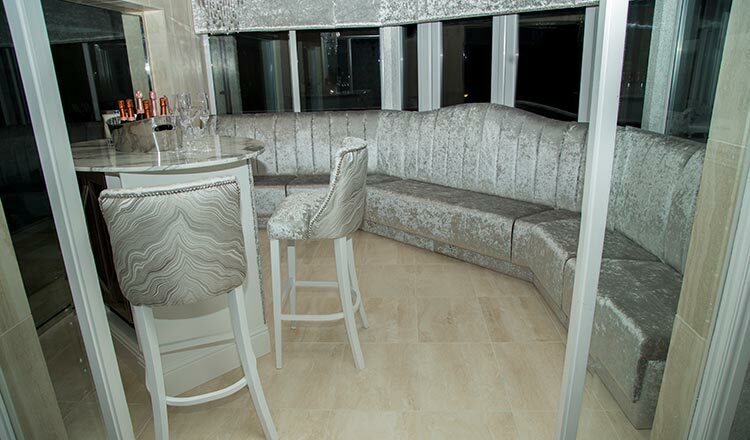 The banquette seating in the photograph is covered in a silver velvet fabric and finished with Swarovski buttons on the top of the seating. 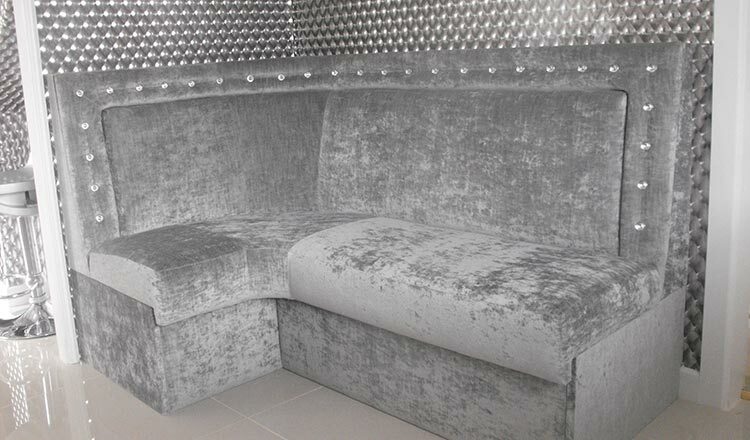 Suite Illusions make our bespoke seating to specification as can be seen in the photograph. 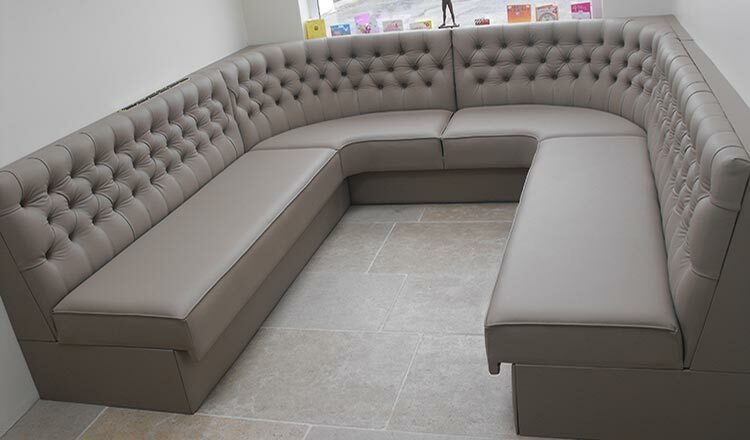 We had a space to fit the seating into to use the space as best as we can. 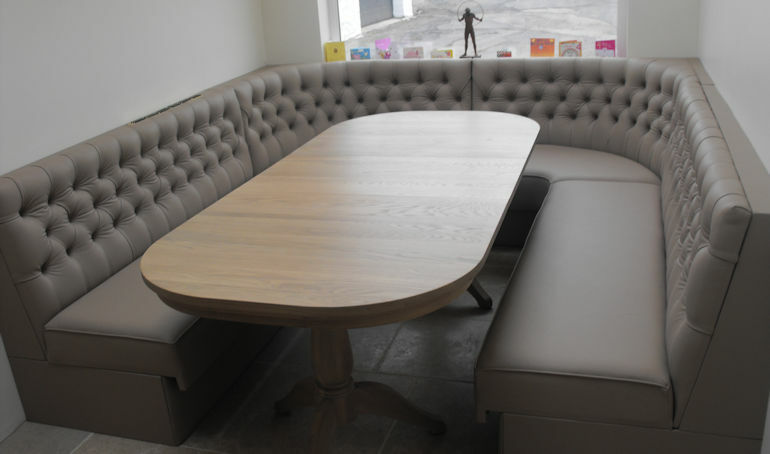 This small room was perfect to fit this seating as this was the main component of this room. 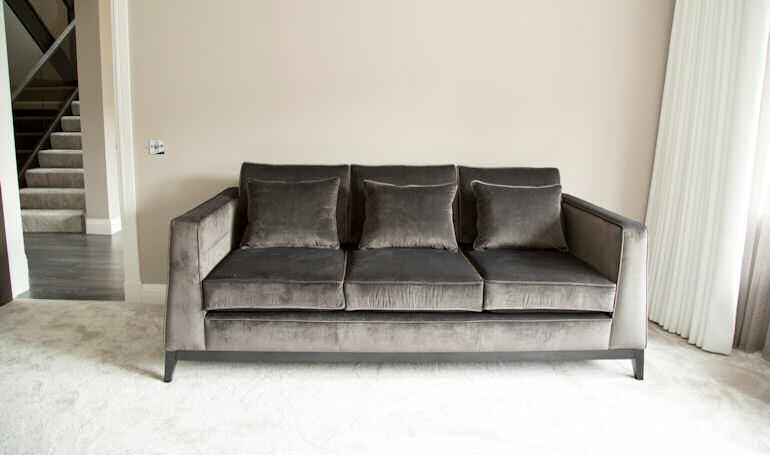 The deep buttoned back gives the look and feeling of depth and comfort. 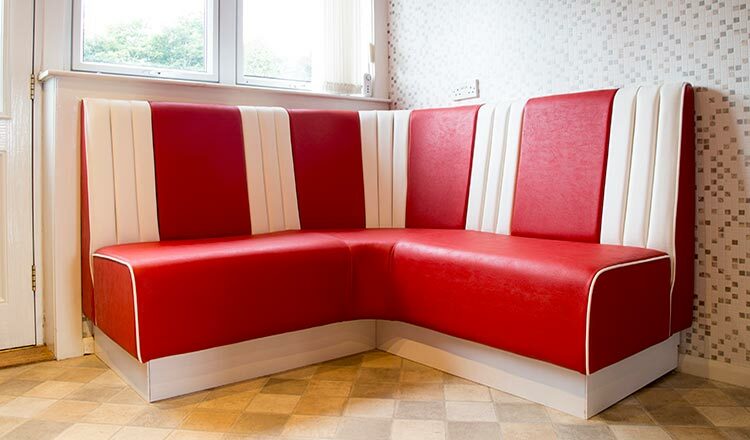 This red and white banquette seating was made to measure to fit our client’s kitchen. 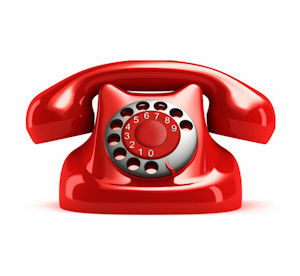 With a mixture of plain and fluted back this gives it a more modern look. Suite Illusions will finish the kick plates with any colour required. 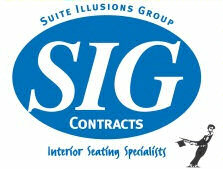 Suite Illusions are the number one small family run upholstery business in Scotland, we will work to the highest standard to give you the furniture that you want. 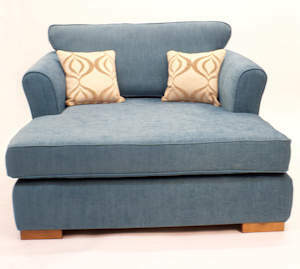 With over 80 years’ experience in the upholstery business our excellent skilled craftsmen and more than happy to help.